SACRAMENTO, Calif. /California Newswire/ — A key water-conservation bill introduced by Assemblyman Mike Gatto (D-Los Angeles) passed the Assembly Water, Parks, and Wildlife Committee today by a vote of 11-1. AB 2230 requires new carwashes in California to use at least 60% recycled water. Carwashes are among the biggest users of water around, but they also use water that by its nature (not to be ingested or used for agriculture), could come ideally from a recycled source. A state task force on water conservation estimates that this simple requirement will conserve enough water to supply 46,000 California families with water each year. Recycled water technology for car washes is readily available and easy to install. 25% of car washes in California have already installed the necessary equipment. Simple on-site water-recycling systems allow conveyor and in-bay car washes to reclaim water used to wash cars, filter it, and reuse it in the early stages of later washes, when the quality of the water is less important. AB 2230 now moves to the floor of the Assembly for a full vote of the chamber. 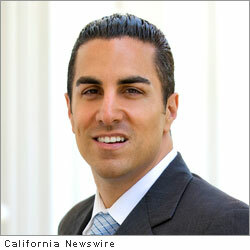 Mike Gatto is the Assistant Speaker Pro Tempore of the California State Assembly. He represents the cities of Burbank, Glendale, and parts of Los Angeles, including Los Feliz, North Hollywood, Silver Lake, Toluca Lake, Valley Glen, and Van Nuys.